Padmavati Pipes & Fittings Inc. In order to furnish the variegated desires of our clients, we have brought forth an extensive consignment of Tank Adopter. 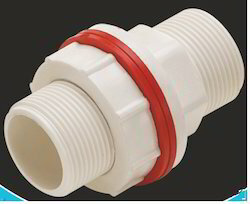 We are among leading companies that are offering Tank Adapters in the market. These are fabricated from high quality water resistant materials. They are made basically for flow and outlet of fluids. They are resistant to corrosion for the maximum time they are inundated in fluids. 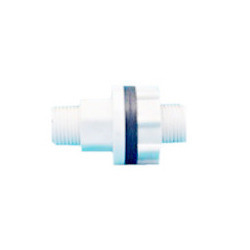 We are the leading dealers of UPVC Tank Adapter in the market. These are fabricated from high quality water resistant materials. They are made basically for flow and outlet of fluids. They are resistant to corrosion for the maximum time they are inundated in fluids.